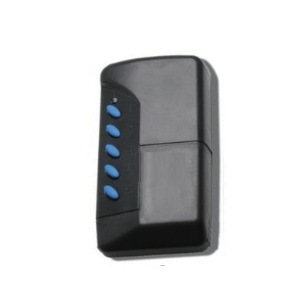 SOMMER 4026 TX03-868-4 is a high quality remote control that will take the monitoring of your electric gate and garage door openers to the next level. Programming SOMMER 4026 TX03-868-4 is the easiest thing in the world; you only need to follow the instructions supplied with your order! 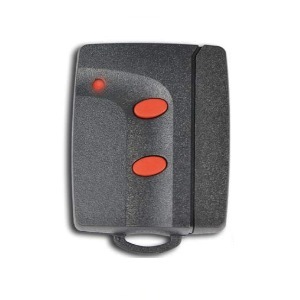 SOMMER 4026 TX03-868-4 is typically used with gate and garage automation systems. This self learning transmitter is housed in a silver coloured case. 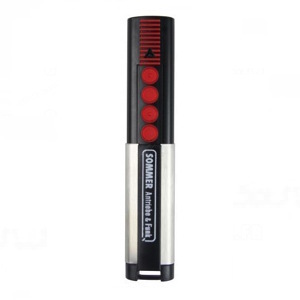 SOMMER 4026 TX03-868-4 has 4 red buttons allowing you to open and close your automations on a single click. It works with CR2032 batteries at a frequency of 868.80 MHz. SOMMER 4026 TX03-868-4 is ergonomic and user-friendly, tailored for residential use. If the LED of your SOMMER remote control is GREEN, it is the model APERTO 433 MHz, NOT COMPATIBLE! 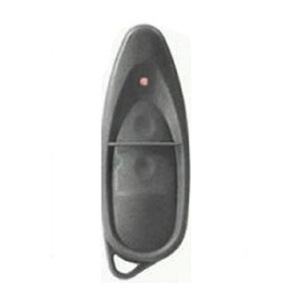 SOMMER 4020 TX03-868-4 is COMPATIBLE with all SOMMER 868 MHz remotes.